Tile an image into multiple subimages. Is there a better alternative to TilePhotos? Is TilePhotos really the best app in Image Editing category? Will TilePhotos work good on macOS 10.13.4? TilePhotos creates an array of sub-images of a given image. The tiling of a given image is determined by specifying the number of row and column subdivisions, or the tile dimensions in pixels. Record these values in the Preferences window of the application. 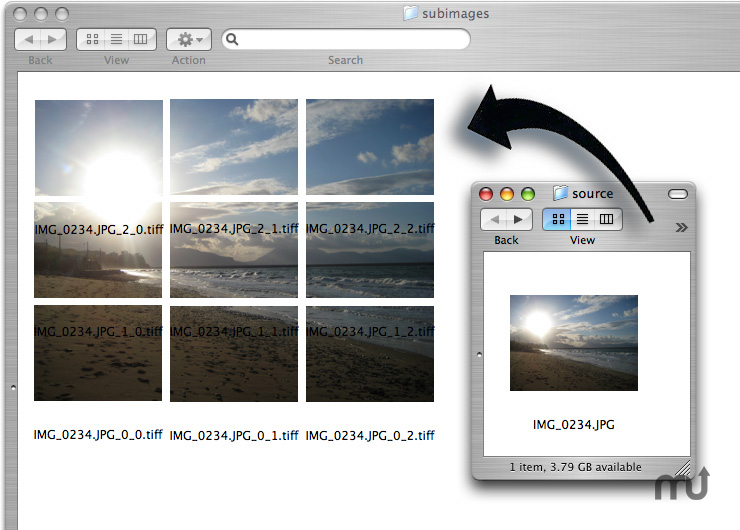 Drop a file (or folder of images) onto the application icon in the Finder, or its main window to tile it. You will be prompted for a destination for the generated tiles. Each generated tile image will have a custom icon preview. TilePhotos needs a rating. Be the first to rate this app and get the discussion started!